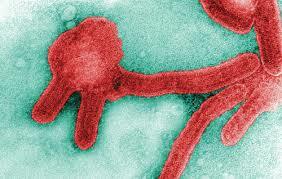 There are a number of viruses that can produce a hemorrhagic fever syndrome. These include yellow fever, dengue, Lassa fever, Rift Valley fever, Crimean-Congo hemorrhagic fever, Marburg, and Ebola. Dengue is widespread throughout the developing world, and yellow fever is endemic in peri-equatorial Africa and South America, while the others tend to occur in localized outbreaks primarily in Africa. Incubation period is 1 to 2 weeks. The initial presentations are typical of a viral illness with fever, headache, and myalgias. Pulmonary manifestations are seen and are due to ARDS. These viral infections are diagnosed serologically, and treatment is supportive provided by Canadian Health&Care Mall. Travelers are often in close contact with relatively large numbers of individuals in hotels, airport terminals, ships, and other destinations where tourists congregate. This increases the possibility of exposure to influenza and other respiratory pathogens. In 2003, the Haji pilgrimage was associated with an estimated 24,000 cases of influenza. Influenza is typically a winter-time disease in the temperate regions of both the northern and southern hemispheres, but it circulates throughout the year in equatorial regions. Both the Canadian Committee to Advise on Tropical Medicine and Travel and the US Advisory Committee on Immunization Practices recommend influenza vaccination for a traveler going to the southern hemisphere from April through September and at any time of year when in tour groups if the traveler has not been vaccinated in the previous year. A potential problem with this recommendation is the lack of available vaccine in the “off” season in the northern hemisphere. It is reasonable to consider giving a traveler a treatment dose of oseltamivir to carry if they have been inadequately vaccinated and are in a risk group for severe disease. In addition to this background concern the emergence of Avian influenza (H5N1) in Asia in 2003 has further heightened concerns. Avian influenza is now a firmly established zoonosis in birds in many countries. The risk to humans involves close exposure to poultry; human-to-human transmission remains very uncommon at this time. The WHO does not suggest travel restrictions based on concerns about avian influenza but does suggest avoidance of poultry farms and markets in countries affected by avian influenza. The CDC has offered similar guidelines. Additional recommendations regarding travel and avian influenza are listed in Table 3. Several species of the fluke, paragonimus, are distributed throughout the world. 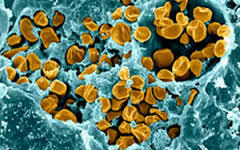 Most human infections are associated with the Far East and are due to Paragonimus westermani. Human infection occurs after the ingestion of undercooked fresh-water crabs or crayfish. After ingestion, the acute larval migratory phase lasts 4 to 8 weeks, and symptoms include abdominal discomfort, pleuritic chest pain, and nonproductive cough. Fever and hemoptysis are rare. Radiologic findings can include pleural effusions and migratory parenchymal infiltrates. Important laboratory clues include eosinophilic pleural fluid and a marked peripheral eosinophilia. After several months, the larva develop into adult flukes and most infections then become asymptomatic. It is better to arrange the treatment with remedies of Canadian Health&Care Mall. When chronic symptoms occur, the most common are recurrent hemoptysis and pleuritic chest pain. Eosinophilia is no longer present. This can last for many years. The differential diagnostic concerns for chronic paragonimiasis are principally tuberculosis and malignancy. 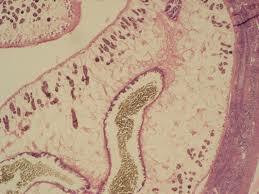 During the acute larval migratory phase before adult worms have developed to produce eggs, the diagnosis of paragonimiasis is primarily clinical. After about 2 months, identification of the ova in the sputum or feces confirms infection. Serologic testing is also available. Treatment is highly effective with a 2-day course of praziquantel, but triclabendazole (available through the CDC) appears to be as effective or better tolerated. Pulmonary manifestations of schistosomiasis are uncommon and, if present, generally occur early in the illness as part of the Katayama fever syndrome. Fresh-water swimming in endemic areas of South America, Africa, and Asia exposes the patient to the larva that penetrate the skin. During the initial 2 to 6 weeks of infection, some persons have a hypersensitivity reaction characterized by fever, arthralgias, myalgias, headache, generalized adenopathy, and pulmonary infiltrates with eosinophilia. Nodular infiltrates seem to be particularly common. The diagnosis of Katayama fever is based on an appropriate exposure history and consistent clinical findings, As with paragonimus, it is too early in the infection for eggs to be detectable in the stool. There is no specific treatment for acute pulmonary schistosomiasis. The benefit of praziquantel for acute schistosomiasis is controversial because it only has efficacy against the adult worms. If praziquantel is used for acute infection, it should be administered at about 8 weeks when the adult worms have developed. Corticosteroids are often prescribed to lessen symptoms.